Last weekend, I took my sons to a local park with some friends. While we played ball in an open meadow, a little boy and his mother asked if they could join the fun. The boy’s mom mentioned that her son had some challenges walking and balancing on his own. We welcomed them to join us, and found out that the boy loves to throw. We organized a game with everyone sitting in a circle and passed the ball to our friends. Everyone had a blast. Then we crawled (yes, even me!) about collecting sticks and rocks and made a game in the center of the space. We all benefitted from being outdoors, playing together. My sons connected with a boy with different abilities. They had the opportunity to learn that everyone has similarities and differences. This is how they will develop concepts of tolerance, diversity and acceptance. Inclusive play means nobody is left out. 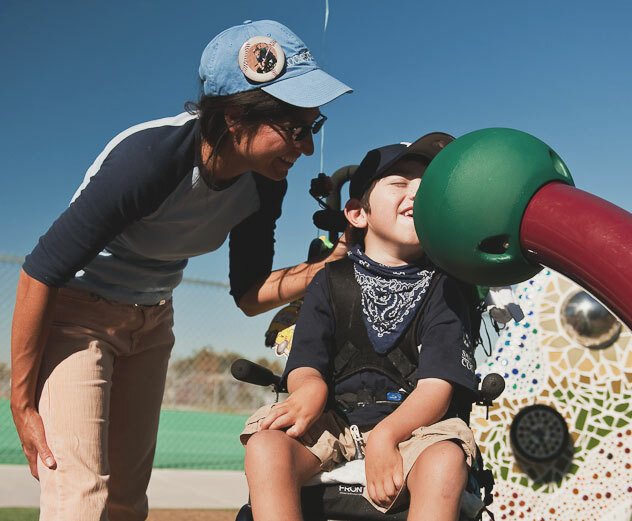 Well-designed play environments are fun for people of diverse abilities, age, race, gender, ethnicity, culture, and socioeconomic backgrounds. ALL of us should be able to play! Our goal, to ‘get people outside’, is reflected in the design process we bring to our school and park environments. Research based theory on play supports our philosophy. Sensory stimuli help us understand the world around us. We extend this thinking beyond the play zone, designing the whole park to be a welcoming, safe and stimulating experience. 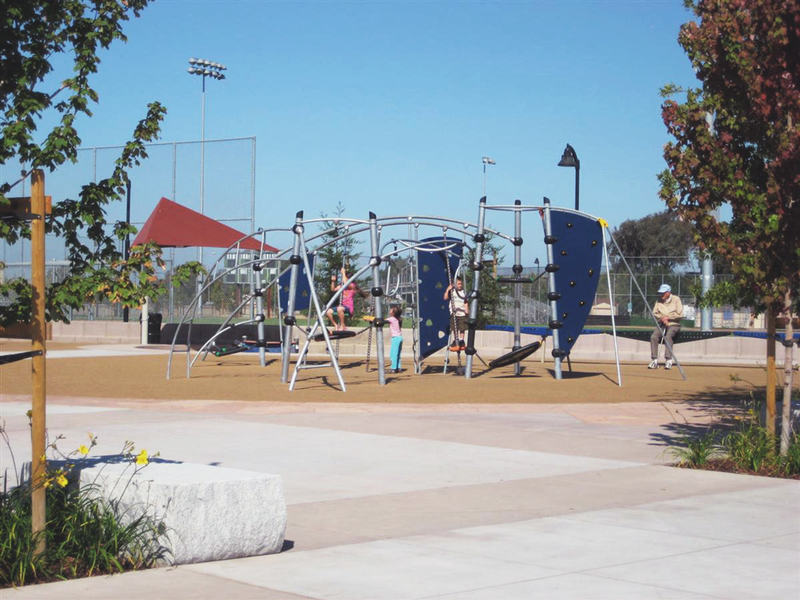 Parks and schools are the gathering spaces of our local communities, and everyone is invited. From the welcoming first impression at the park entrance, through the various nodes, links, and use spaces, we seek a comfortable place to gather. 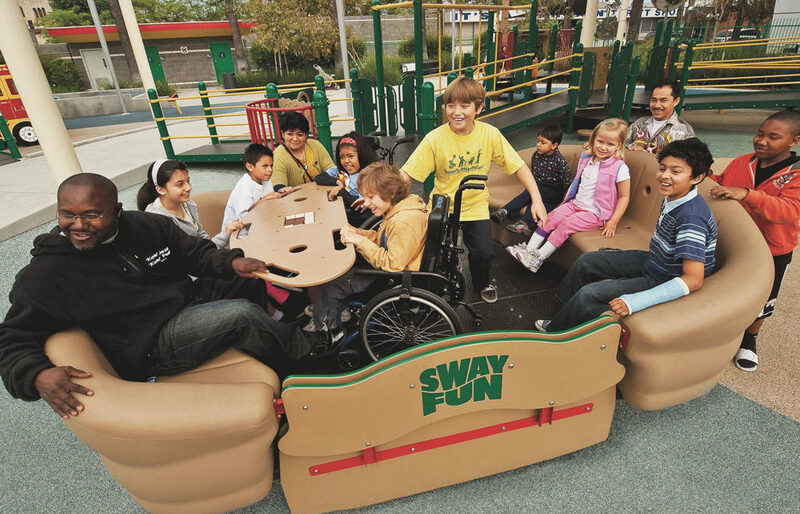 Inclusive Play spaces are accessible to people of diverse abilities, age, race, gender, ethnicity, culture, and socioeconomic backgrounds. We believe there is a universal attraction to nature, being outside, and playing that benefit all the members of our communities, and this includes you.